Kapil Sharma is finally on right track. After creating controversy after controversy, the comedian is back with a new show. And everybody is talking about it. 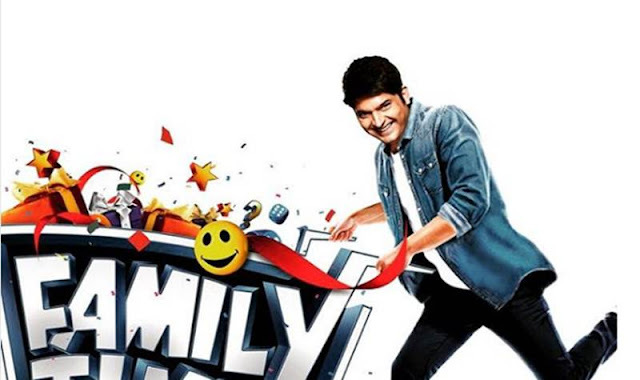 The show is titled as Family Time With Kapil Sharma and it will start airing from March. The promos of the show has been released. People are appreciating the promos. The producers of the show have promised that it will be a completely different show. But the star cast of the show has not been revealed yet. But now, Kapil Sharma have revealed the star cast also. Chandan Prabhakar, Sumona Chakarborty an Kiku Sharda will be the part of the show. Star cast will create humor with the families who will participate in the show. Kapil Sharma's new show will be a game show but it does not mean that there will not be comedy at all. The Idea behind the show is to have fun and win large as well. According to the news, The game in the show is a complete new show. The poster of the movie has also been released. But the release date has not been confirmed yet. But it is more likely go on floor in March. But we may get the information about the release date very soon. The promotional activities of the show has been started. Navjot Singh Siddhu will not be the part of the show due to political reason. Also, there are news that the politician is angry at Kapil Sharma. It has also been reported that Kapil Sharma will not promote Bollywood movies in his new shows which means there will be less superstar presence. They want to make this show less dependent on superstar presence.